Similar to making a Bug Out Bag, a Nuclear War Survival Kit is a good idea if you live near a major city that is likely to be a target for a nuclear missile. Or a dirty bomb which exposes the region to radiation. Or even a nuclear meltdown at a nearby nuclear plant. Or the accidental detonation of a nuclear bomb at a military base. Whatever the cause you will need things to warm you about the radiation you are being exposed to, and also ways to protect yourself from nuclear fallout (such as locking yourself in your basement and sealing all the entrances with tape and plastic to prevent fallout materials from getting in). Nuclear fallout typically comes via water droplets from the sky, brought to the ground via rain, dust, wind, etc. Radiation can travel thousands of miles, and once it hits, it’s not going away any time soon. Chernobyl is still uninhabitable to this day. The top 18 inches of top soil will need to be cleared away from any contaminated land before it can even be safely used, that is how bad nuclear fallout is. Otherwise you will be growing crops that will give people radiation sickness. 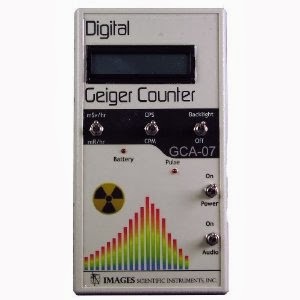 Geiger Counter/Radiation detector: Whether it’s an old-school Geiger counter or a NukAlert system, you need something that tells you where it’s safe. Dosimeters: These devices will keep track of just how much radiation you’ve been exposed to. Thyrosafe: These potassium iodide tablets will keep your thyroid gland safe from radiation. Radioactive masks: You’ll need masks specifically designed to protect from radiation, not those masks that guard against the flu. Safe food and water, and containment: Any survival kit you purchase for nuclear purposes will probably have some food bars and safely packaged food, but you also need to make sure that you have safe containers for food and water around your shelter. Water filter: You can never be too safe during nuclear fallout. Make sure you have a filtration system for your drinking water. Plastic and tape: You may need to quarantine yourself in a location such as a basement. Plastic will keep the basic fallout particles out and tape will allow you to make it even more secure from particles by blocking the cracks under doors, around window frames, etc. Gun + ammo. Lots of ammo, as bullets will become scarce over time. Don't carry the gun openly when meeting refugees, better if they don't know you have it as refugees will be desperate people who might try stealing your food, water, weapons, etc. Secondary weapon that doesn't require bullets (which might become scarce), such as a crossbow, bow, spear, slingshot, etc. 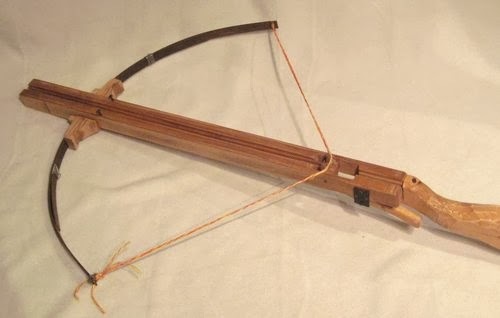 An homemade crossbow is a fun woodworking project and fairly easy to make - and easy to learn how to use. Fire extinguisher. Because you never know what can happen. Water purifier caplets - don't drink any water from lakes or rivers, only ground water from a deep well. Stock pile of commonly needed medicines such as antibiotics that would be useful when dealing with infections, injuries. Shovel, handy as both a secondary weapon, but also for burying bodies, digging through rubble, etc. A Bug Out Bag, in case you need to leave town in an hurry.